As video conference system becomes more and more popular, we believe that we are facing forward without getting back to former position again. When enjoying the convenience of video conference, have you ever considered that you can also add someone who is not sitting around the computer? Now it is available to you. Skype phone is a device to achieve free high-quality talk online and multi-network phone calls while it is the primary tool to get the video conference. Whether the conventioner is beside the computer or not, it is still possible for users to take part in the conference and others can see him in the video. Nowadays, Skype has been widely used in online communication, especially in audio and video. With the development of VOIP, Skype phone has provided Skype more additional functions, especially in communication channels and speech quality. In some cases, users will use the Skypemate to help them to adjust the voice in all aspects. Actually, the advantages of Skype phone video conference are more than that. Compared to traditional telephone conference, video conference by Skype phone has special advantages in good visual effects and abundance information. Furthermore, it can also be applied in fields of on-the-spot teaching, commercial office, project negotiation and so on. 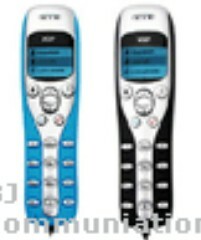 In USB Phone World, there’s a new Skype Phone, called 160 feet USB cordless phone for Skype, to fulfill the functions of conference. For example, when communicating with customers about your company and works, you can show them a wider space in the range of 50 meters.